Many companies who test their employees use the rules established by the Department of Transportation as their standards for their employees. These rules use strict requirement regarding the chain of custody and certification of collectors. We understand the importance of these rules. All of our collectors are trained and certified. 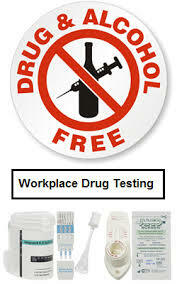 Urine, Hair Strand, Saliva and Breath Alcohol Concentration are the most comon types of test.